This celebration contains some of our favourite fireworks; ROCKETS! 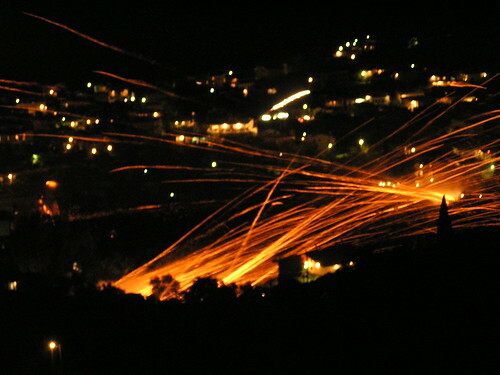 The yearly spectacle of rocket wars descends on the Greek island of Chios in the village of Vrontados over the Easter weekend. 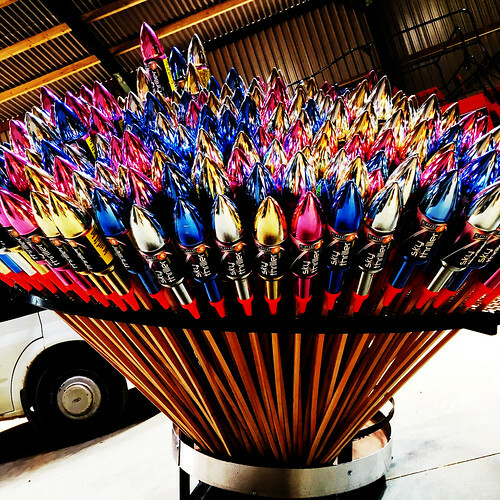 This amazing event is unlike any other that you will witness in the world it includes over 60,000 rockets that are handmade and fired from residents of two opposing camps into each other’s rival churches in the village. The churches of Agios Markos & Panagia Erithiani are 400 metres apart on the hills on either side of the village. Preparation begins on the Saturday morning as the rivals set up the meshing on all the windows of the churches to protect them along with setting up the ramps in certain locations from where they shoot the rockets. 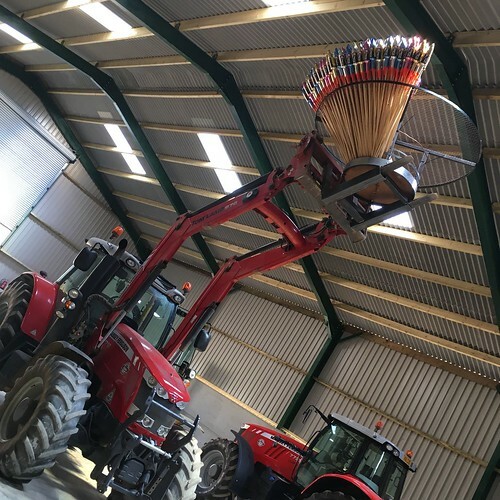 Some of the rockets are launched as a test to make sure that they are correctly positioned and on target of the bell of the opposite church tower. With the numbers building on both the locals and the visitors throughout the afternoon and early evening the rivals get ready and into place ready for the stroke of 8pm. Just before the battle commences there is a loud horn sounded, after this a volley of thousands of lights and sound as the rockets are lit and fired in every direction like shooting stars filling the air with bright lights and smoke. The congregants with all the madness going around them amusingly still attend the church for the evening mass which is still an important element of the Rouketopolemos. The rockets are supposed to cease when one of the church bells are hit but amongst the noise this always is missed or if it is heard they still carry on regardless, the rockets do eventually stop at 12:30am on Easter Sunday. Both of the parishes normally end up claiming victory to themselves and then a casus belli (reasons for waging war) is agreed for the following year. 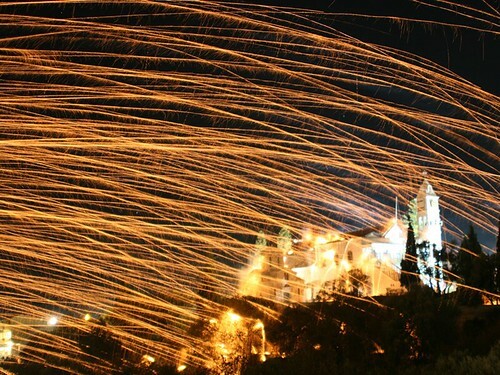 It is not known exactly why and when this celebration came about, and there are various theories on why the rocket wars started but all we do know is that the tradition has been upheld every year at the same time at Easter since the 19th century. After the event has ceased then becomes the big clear up operation as the area around and in between the churches are littered with the leftovers from the rockets, the white walls of the churches have black scorch marks from them and some rockets still stuck in the meshes covering the windows. The local rivals are quick to take a look over at the opposing side to see where and how many hits their rockets made. Then its back to preparations for the next years festivities and another round of Rocket Wars ! Gav and Dan AKA The Slow Mo Guys decide repaint the garden with a tub of paint and some firework rockets in super slow motion – Filmed at 1600fps.